The NHS Long Term Plan marks a watershed moment of the development of world class mental health care services in the NHS. In the middle of all the post-launch noise, and with the cogs already turning quickly for the next phase, the most difficult part can sometimes be to take a pause, and reflect on the entirety of what has been achieved, and by that I specifically mean, what we all achieved. We set out with the ambition to ensure that more people of all ages have access to high quality evidence based treatment, and to build on the legacy and progress of the NHS Five Year Forward View for Mental Health. The NHS Long Term Plan brings us closer to that aspiration. 370,000 adults and older adults with severe mental illness will have greater choice and control over their care, and be supported to live well in their communities via new and integrated models of primary and community care each year. An additional 345,000 children and young people aged 0-25 will be able to access the support they need via NHS-funded community and school or college-based services each year. An additional 24,000 women each year will be able to access specialist perinatal mental health care during pregnancy and for two years after birth. A single point of access through NHS 111 to timely, age-appropriate mental health crisis care will be available to everyone across the country. Full coverage across the country of the existing suicide reduction programme. Expanded geographical coverage of NHS services for people with serious gambling problems, and work with partners to tackle the problem at source. We will ensure that the parts of England most affected by rough sleeping will have better access to specialist homelessness NHS mental health support, integrated with existing outreach services. For people admitted to an acute mental health unit, a therapeutic environment provides the best opportunity for recovery. We will work with those units to bring the typical length of stay to in these units to 32 days. This, and more, will be underpinned by our largest investment in mental health yet. Funding for mental health services will grow by at least £2.3bn a year by 2023-24 through a ringfenced local investment fund, allowing us to radically improve the quality and access to care for those who need it. I want to say thank you from the bottom of my heart to those who have lived and breathed the development of the Long Term Plan. I am so proud of the scale of what we have achieved. The driving force has been what it means for service users. It has been a privilege to work alongside such inspirational, passionate, and knowledgeable people. Of course, I want to extend my heartfelt thanks to all who participated in the engagement exercise we undertook in the Autumn, where the views of some 27,000 service users, chief executives, and clinicians were captured. The power of your voices guided our ambitious proposals. I am indebted to you for your guidance, expertise, and unparalleled commitment to improving mental health care services. This could not be possible without the leadership and dedication of my co-chairs of the small working group we pulled together – Paul Farmer, Chief Executive of Mind, and Sheena Cumiskey, Chief Executive of Cheshire and Wirral partnership NHS Foundation Trust, the Mental Health Policy Group and YoungMinds. I am so proud to work in this sector, a community with drive, passion, ambition, determination. Since the publication of the Long Term Plan, I have been moved by messages on what it means to people on a personal level. I have said before, the NHS cannot achieve a mental health revolution by itself, and this wonderful mental health community banded together during this crucial time, and I know will continue to do so. To every single organisation, service user, loved one who has brought us to this point, thank you. Before we embark on the next steps of working together to deliver this Plan, I urge you to take that moment to yourself, and reflect what we achieved. The words within the NHS Long Term Plan are the strongest message yet for the future of mental health care services, and I can never thank you enough. To stay up to date on the NHS Long Term Plan and how it will be delivered, sign up to our regular ‘future health and care update’. Claire Murdoch is NHS England’s National Mental Health Director. She has been a registered mental health nurse for 34 years, and joined NHS England in April 2016. 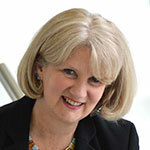 She is also Chief Executive of Central and North West London NHS Foundation Trust. With a wealth of clinical and leadership experience she is leading delivery of the national mental health programme.